And what is its spiritual power? In the 1920s and 30s this religious relic toured America under armed guard. Thousands came to see and touch it. Why? Because they were told it is the cup from which Jesus drank wine at the last supper. They believed it is the holy chalice or to use a more ancient word for chalice... the Holy Grail. Is it the Holy Grail? 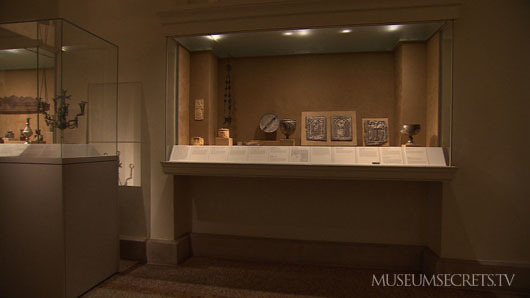 The secrets are revealed in the premiere broadcast of Museum Secrets: Inside the Met. 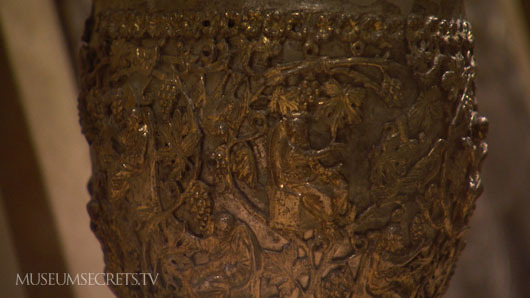 What makes the Antioch Chalice a convincing candidate for the Holy Grail? Discover the secrets in our Web Exclusive Video: Grail Contender. Name any fond hope or an impossible dream and you can be sure that for someone, somewhere, it's a Holy Grail. We invite you to consider some of these modern grails, and find out what might happen if you discovered them in our Interactive Feature: Modern Holy Grails. 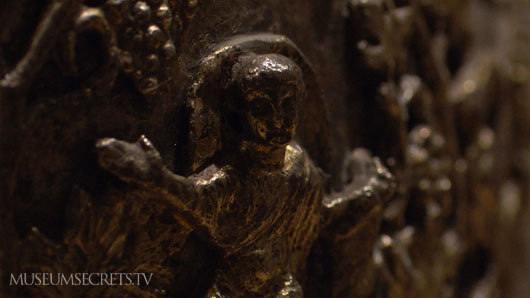 Want to discover more religious relics? 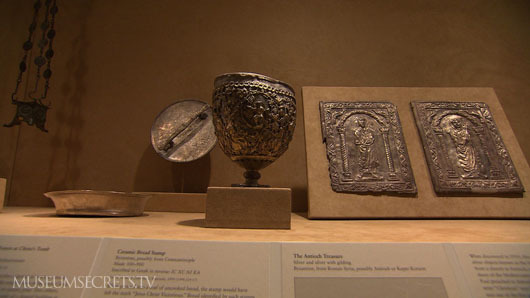 Check out this page on the Metropolitan Museum web site: Relics and Reliquaries in Medieval Christianity.